Pilot project update | Get Pelletwise! The industry-wide collaboration to investigate whether field-by-field ‘zero metaldehyde’ targeting in the highest risk areas could be part of the answer to securing the active’s longer-term availability, has produced mixed results, highlighting the need for good farm-level engagement. The water companies were reporting on the 2014 pilot project results on the Water UK stand at Cereals 2015 alongside the Metaldehyde Stewardship Group (MSG). The first year findings come as metaldehyde continues to be subject to pressure as a result of detects in water threatening non-compliance with Water Framework Directive standards. “These pilot projects trialled an approach where farmers with land located within a handful of high risk water catchments were asked not to apply metaldehyde on selected fields. They were mapped based on modelling work factoring in criteria such as heavy soils (under-drainage), field gradient, and proximity to a watercourse,” said Affinity Water’s Alister Leggatt. He explained that results have ranged from significant and marginal reductions in instances of metaldehyde exceedances in raw water compared to 2013, through to evidence of no clear raw water improvements; with one pilot producing a disappointing result of levels on a par with previous bad years. With both larger and smaller catchments reporting the more positive results, Alister is convinced that the level of engagement and dialogue with farm businesses is the critical factor. “The best results were achieved where the farmers got actively involved and were engaged in the risk mapping process. Where they were not as engaged, it was clear that making a treatment decision according to field risk had not been happening. 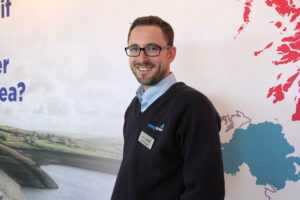 “Given the influence of weather conditions and seasonality on slug pressure, it will be interesting to see how the pilots perform during a second year of taking this selective zero metaldehyde approach,” added Alister. Simon McMunn of the MSG said that three of the four catchments are continuing with the same approach in 2015 reflecting a wider indication from Defra that targeted legislative restrictions remain a very real option for the policymakers. But the door is still very much open for targeted voluntary restrictions where the desired reductions in metaldehyde can be achieved.